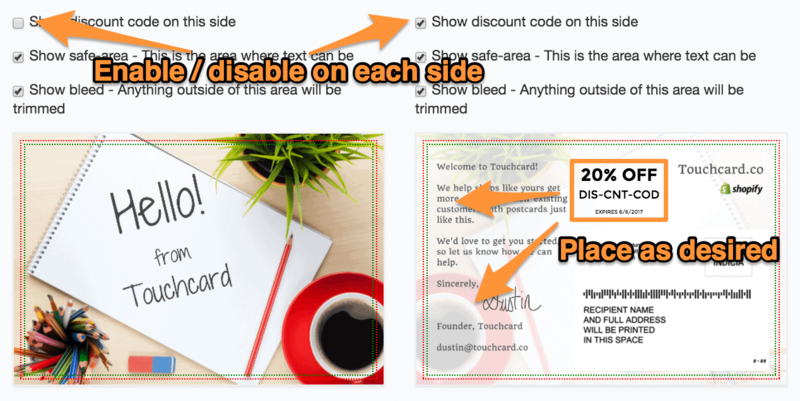 Touchcard postcards can include discount codes in two distinct ways. The method preferred by most Touchcard customers is to let the app automatically generate a discount code that gets printed on every postcard. 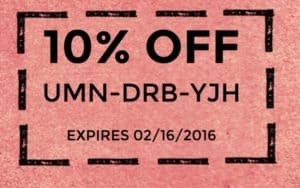 Each discount code can only be redeemed once. Each discount code has an expiration date, which adds urgency and increases conversion rates. 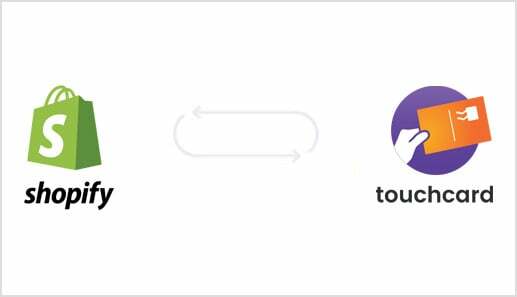 Redemptions are automatically tracked by the Touchcard application. An example of a uniquely generated Touchcard coupon printed on a postcard. This type of discount only needs to be set up once. After that every postcard sent to a customer automatically gets a unique discount code. Every code generated also gets registered with Shopify and can be viewed in the Discounts menu of your admin panel. That’s it. Any postcard you send from then on will automatically include a unique discount coupon. Create a coupon in the Shopify Discounts panel. Make sure not to include any restrictions such as expiration dates or usage limits. Include the coupon in your Postcard design or text. This way every postcard will have the same discount coupon printed on it.